This sweet and spicy fig chutney is delicious and aromatic and goes well with grilled meats such as chicken and apple sausage and pork tenderloin, homemade crostini with a local goat cheese, and roasted Delicata squash from the farmers market. 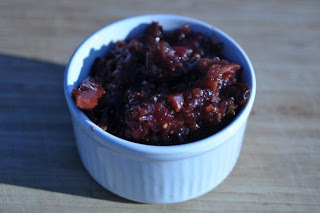 Using figs grown on Long Island's East End (Fairview Farm on Mecox Road), and a combination of spices from the Far East, India and South East Asia, this chutney is a melting pot of cultures and an inspiration to the tongue. Less starchy than winter squash and lower in calories, Delicata squash is an early season fall vegetable. The best part about a Delicata is that you can eat the whole thing, outer skin and all. Simply roast a whole heirloom delicata squash for an hour at 375 degrees or until a fork pierces through the flesh easily. Cut into quarters, and remove the seeds. Serve with fig chutney for a totally guilt-free meal -- no oil or butter required! In a 2 quart saucepan combine the vinegar, brown sugar, onion, jalapeno, raisins, salt, cinnamon stick, star anise, cardamon, mustard seeds, lemon zest, orange zest, cumin, coriander, nutmeg, and ground cloves and bring to a boil over a medium-high heat. Reduce to a simmer and cook until reduced by two thirds. The consistency will be syrupy. Add the figs and simmer uncovered for approximately 30 minutes until the figs begin to fall apart. If the chutney is watery, simmer a little bit longer to cook off the excess liquid. Store in a glass container. May be refrigerated, frozen or canned (be sure follow canning instructions to ensure food safety). Delicata squash has a similar taste to a sweet potato but a little more delicate and less starchy than a potato. Known as the “sweet potato squash” or “Bohemian Squash”, the Delicata is an early season squash typically available in our area in September that is especially rich in Vitamin A. According to several sources, the delicata is an heirloom introduced by the Peter Henderson Seed Company of New York in 1894 (located on 35 and 37 Courtlandt Street near Trinity Church and other NYC landmarks in lower Manhattan). Henderson was called the “father of horticulture” in the US and published several books on gardening before establishing the seed company.The skin is quite thin making it unsuited for transport over long distances or storing much beyond 4-6 weeks. For this reason the variety went into relative obscurity from the 1920s until the last decade or so. Thanks to Chubby Bunny and other great farms, the delicata squash is BACK. This chutney looks gorgeous - next time I come across fresh figs at my farmers market I will definitely be making this. This chutney tastes gorgeous. I tried it with plums and it was not nearly as delicious as with the figs. ENJOY. 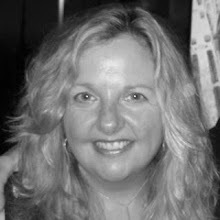 I stopped by Couscous and Consciousness -- love the photos -- will stop by again. I've never thought about making chutney - what a great idea! This chutney is great especially now that figs are in their season.